This cookbook was created to inspire your senses. 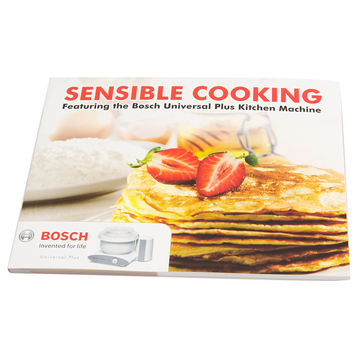 The convenient, nutritious award winning recipes featured in this book have been developed over many years by Bosch Kitchen Machine experts. The standard of quality for well over a half century, Bosh Kitchen Machines are considered the top rated stand mixer and premier brand for beard making. In 2007, the all new Universal Plus was developed with an incredibly powerful 800 watt motor and distinct technical advancements delivering great improvement in performance, usability and design. with the new Universal Plus and these delightful recipes. your senses will be treated to a new world of enjoyable cooking and healthy eating. Savor the experience.